Founded in 1978 the complex won the Gujarat State's 'Best Vocational School' shield in the year 1995. It teaches in Gujarati and English languages the following vocational subjects in addition to Gujarati, English, Social Sciences and Entrepreneurship in 11th and 12th standards. a) Advanced House - keeping. b) Elements of Interior Decoration. c) Communication & Social Skill. 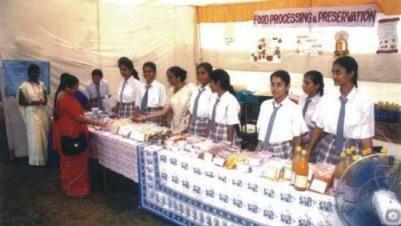 b) Plant Management and Food Processing. c) Parents & Community Education. Eligibility for admission is Gujarat State Secondary Education Board's Secondary School Certificate (10th standard). Those belonging to foreign countries or other states of India can be admitted after passing the prescribed test. Facilities like on-the-job training and hostel accommodation are available. It is notable that the Charutar Vidyamandal awarded this institution the Best School award for the year 2002-03 and that the NCERT, Bhopal, rated this institution the Best Institution for the year 2002-03.